NXT is WWE’s most revered in-ring product currently, and today, 2K announced an NXT Edition of WWE 2K17. This edition will retail for $100 and get you access to Shinsuke Nakamura, Nia Jax, and Apollo Crews – with the latter now being a main roster member. Lovers of physical goodies will get Topps trading cards with the NXT roster using a piece of the mat from NXT Takeover: London a Finn Balor statue and an art print of Nakamura by Rob Schamberger signed by Nakamura. Beyond the in-game characters, you gain 50% more XP in MyCareer. The idea of having an NXT Edition of the game is exciting as NXT roster members are some of the most popular on community creations – so hopefully the core roster is full of NXT wrestlers as well. Finn Balor in his demon persona was a huge hit last year, and with all of his alternate Balor Club gear, he should be even more popular now. AJ Styles, Luke Gallows, and Karl Anderson will probably be in this game – which when combined with Nakamura, make this WWE game the best New Japan game available even without the New Japan license. If Austin Aries is put in, it would mark his first video game appearance ever and with Samoa Joe and AJ likely in, it will ensure some amazing classic TNA Wrestling matches as well. 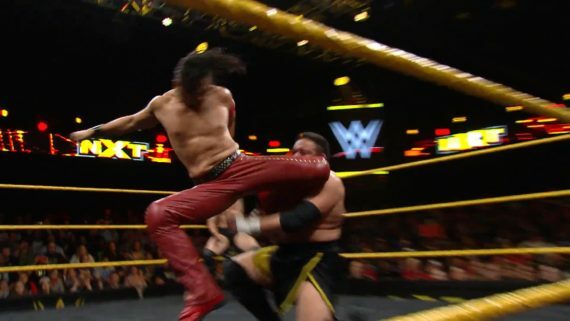 Nakamura is an absolute natural for this game as his moves have been in it for years as DLC in 2K15 and regular moves in 2K16, so if they fix the Kinshasa/Bom a Ye knee strike to look organic instead of kind of weirdly stunted, he should be incredible to use. With Nia Jax being in, hopefully that means more NXT female wrestlers are in – especially Bayley, whose super-colorful intro is perfect for a video game. Asuka’s hard-hitting style and elaborate intro are also perfect for gaming and she would be a blast to play as since she’s effectively a female Brock Lesnar for WWE with how dominant she is and how hard she hits. Apollo Crews has never been in a game before, but his blend of power and speed is perfect for a game, where having someone who is big but also flies around is something players always want and his style should be replicated fairly well here. It’s kind of a shame the Cruiserweight Classic didn’t happen earlier in the year as that is also a great concept for a game – but it will be perfect for 2K18. The purple and silver color scheme alone will stand out nicely and if they’ve secured the game rights to the roster, then it can be replicated perfectly. As it is, Kota Ibushi would be a natural since he is signed and many of his signature moves are already in the series. 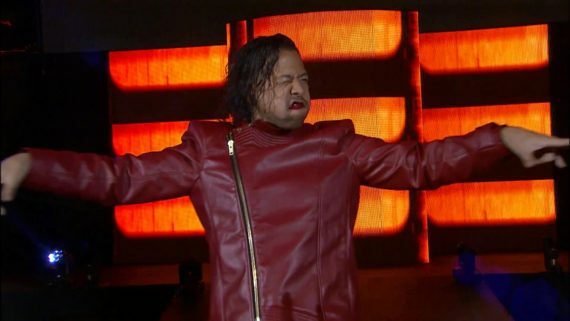 Having him officially in the game would make replicating his Wrestle Kingdom 9 classic with Nakamura a breeze as well. The roster split coming up should also freshen up next year’s game, and it could bring back separate Raw and smackDown-centric story modes for players to enjoy.